We are delighted that a number of PIVOT Dublin projects will contribute to the Dublin Action Plan for Jobs 2016-2018 including Make Shape Change, the Framework Design Assistance Programme and Design4Growth. 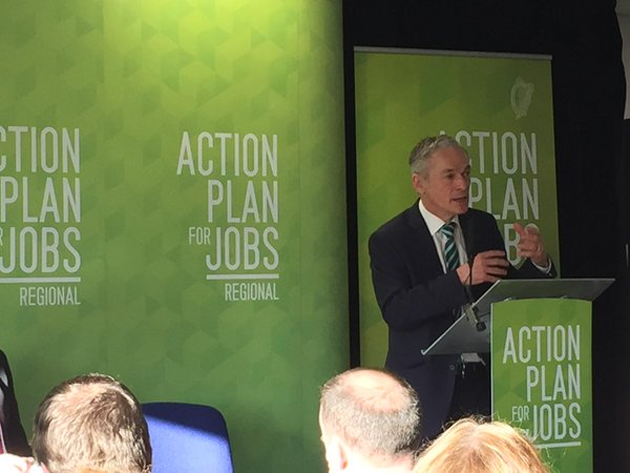 ‘Dublin Action Plan for Jobs 2016-2018’ was launched on Monday 25th January 2016 by Minister for Jobs, Enterprise and Innovation, Richard Bruton TD where PIVOT Dublin was identified as an example of ‘how coordinated and multidisciplinary approaches can deliver economic benefit’. The Plan includes actions around developing Dublin as a global hub for design, promoting high quality place-making as critical to enterprise and applying design-thinking to unlock innovation; all aimed at delivering 10-15% employment growth in the Dublin Region over the coming years. PIVOT Dublin, from its inception, has always sought to apply design to our city and make it more humane, attractive and competitive. PIVOT Dublin continues to provide a platform for projects that use design as a tool for social, cultural and economic progress, through which strong national and international connections have formed. We are delighted that a number of PIVOT Dublin projects will contribute to this ambitious plan including Make Shape Change, the Framework Design Assistance Programme and Design4Growth. The Make Shape Change educational programme, in collaboration with Junior Achievement Ireland, encourages creativity and design-thinking in the next generation. The PIVOT Framework Design Assistance Programme empowers communities to improve their built environment through an open, collaborative and systematic approach. It brings the public, policy makers, community and business leaders together to devise a vision and agree actions to turn the vision into reality. The American Institutes of Architects is assisting DCC and project partners to adapt the programme for the Irish context. A project identity and website has been developed for launch in early 2016. Design4Growth is a strategic design pilot scheme that connects micro businesses with designers to identify their biggest strategic challenges and create new opportunities to overcome them by using design effectively. It is delivered by Dublin City Local Enterprise Office on behalf of the four Dublin Local Enterprise Offices, facilitated by PIVOT Dublin and funded by the Design & Craft Council of Ireland through the ID2015 programme. Both Framework and Design4Growth emerged from the Hidden Rooms initiative, under the themes of The Empowered City and The Innovative City.